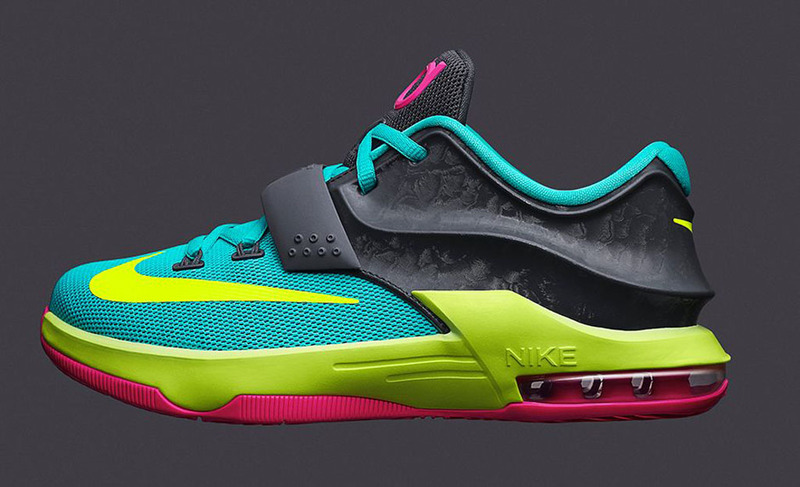 A brand new colorway of the Nike KD VII, made for the kids. 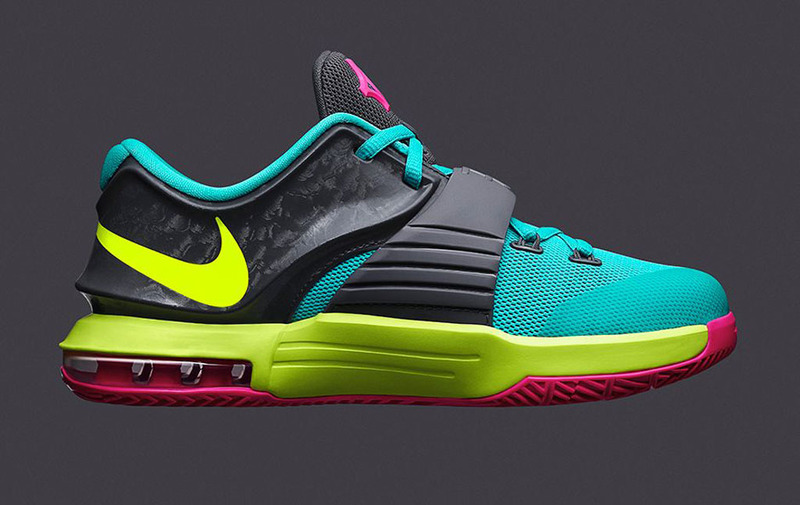 This pair, known as the 'Carnival' edition draws its inspiration from summer carnivals. 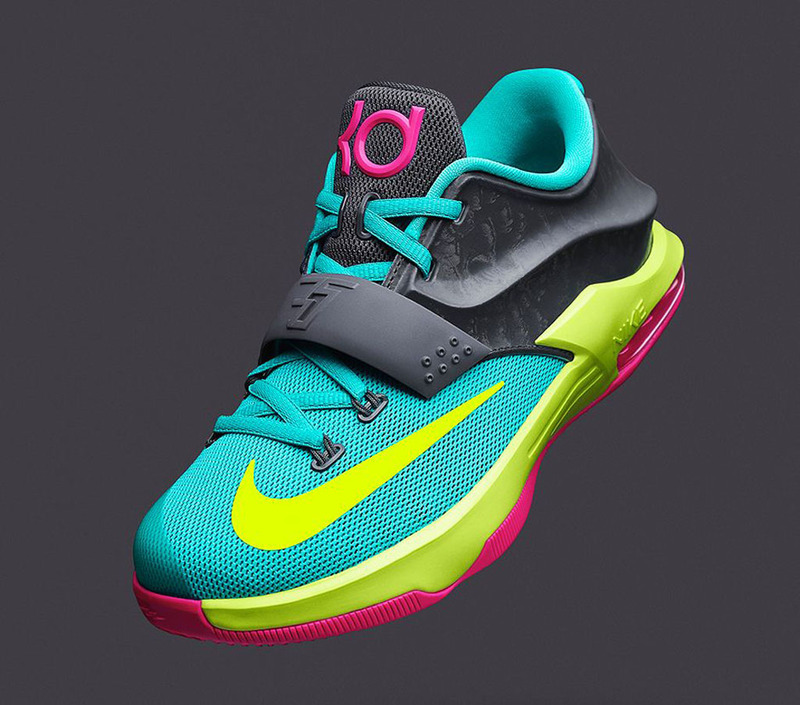 They come in a hyper jade, hyper pink, dark base grey and volt colorway. Featuring a jade-based mesh and dark grey Hyperposite upper. 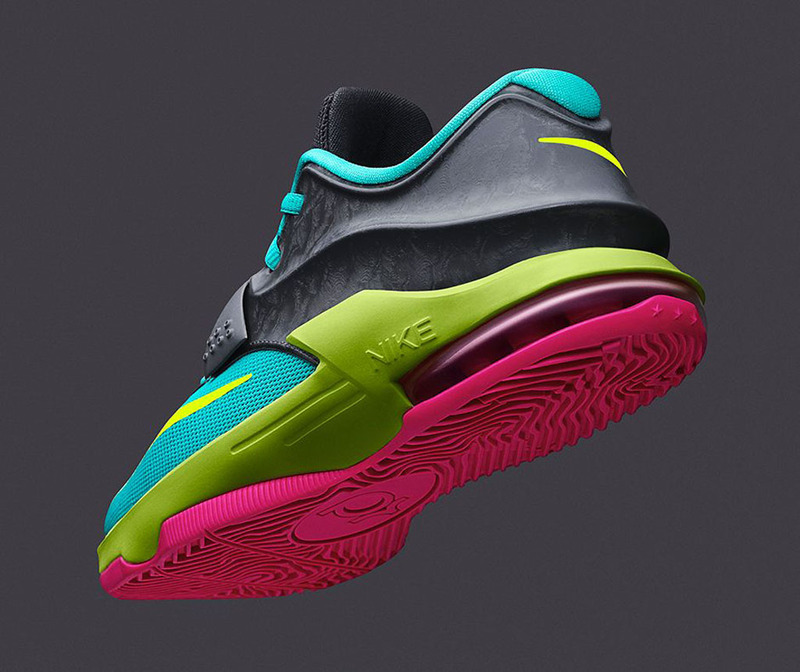 Grey also covers the mid-foot strap and tongue while pink hits the 'KD' logo on the tongue and outsole with volt accenting the Swoosh and midsole. Designed for young athletes, they will be available in gradeschool, preschool and toddler sizes. 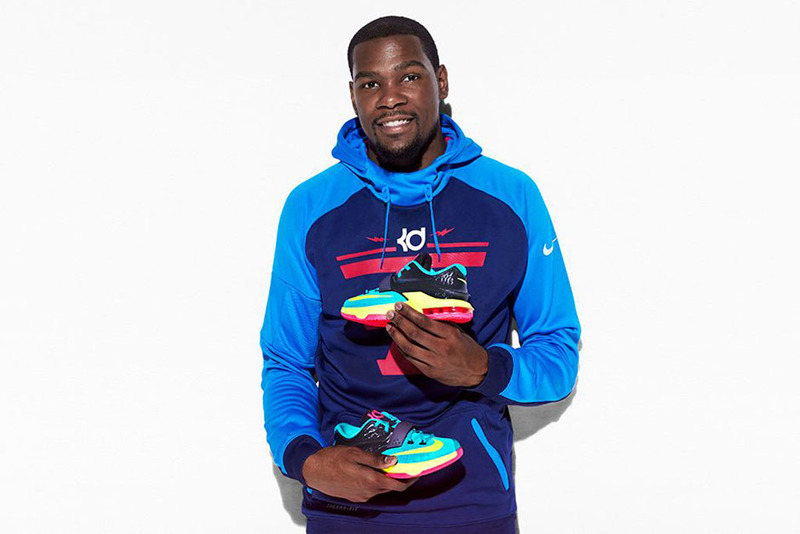 The 'Carnival' Kid's Nike KD VII hits nike.com as well as select Nike Basketball retailers on Saturday, August 9.